Helllllooo Wednesday! Is it really May 1st? I just can't believe that. Where is 2013 going? Seriously. This year is going by so fast. Before I know it, I will be another year older. Dang! Slow down 2013, I mean it! Well, since it's Wednesday, I have some major randomness coming your way. I picked up this wine at the grocery over the weekend. I initially picked it up based on the label...I love that pretty ice blue color. But when taking a closer look, I realized it was from one of my favorite regions. Monday was pretty rough so I decided to give it a try with dinner. It's delicious! The mineral, crisp flavors lead way to a smooth finish with a slight bit of tart. That may not make sense but it's the only way I know to describe it. If you enjoy dry yet refreshing whites, give this one a shot. I'm 99% sure you will love it. Has anyone tried PoshMark? If so, I'm dying to hear your feedback. I LOVE ebay but I'm intrigued by PoshMark. I decided to sign up (@socialsara) but I'm still learning the app. Any tips, ladies? In the last few weeks, I've tried to revamp my spring wardrobe by adding new accessories to existing items in my closet. It's challenging but fun at the same time. That being said, I totally caved when Banana Republic had a huge sale this week. I snapped up this dress for half off. I can't wait for it to arrive. I'm hoping it can double for work/church as well as the weekend. I will keep you posted. It's hard to tell in this picture but it's navy and white striped. And in honor of Mother's Day, which is just around the corner BTW, I just had to share this. I found it while cruising Pinterest this week and I absolutely LOVE it! This is so true in my house. 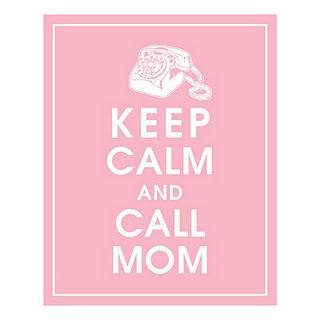 We call my mom for everything! That's all the randomness for today, ladies. I hope you have a lovely Wednesday! 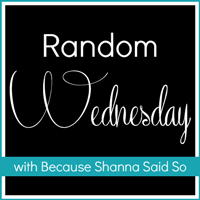 Linking up with Shanna for Random Wednesday. Hope on over for more randomness! I need to figure out the whole Poshmark thing too! I have soooooo many clothers to sell...it's a sin! !